Many people think that the Pro DJ Link protocol that Pioneer DJ gear has is only intended for putting an ethernet cable between two units and sharing the content of a USB drive and BPM info for using the sync feature. But the reality is that Pro DJ Link is a solid and powerful protocol that Pioneer DJ has developed and fine-tuned over years. It lets you share metadata between four or more units, load music from a computer or a phone, or even convert every action of the players in MIDI commands using third-party software. 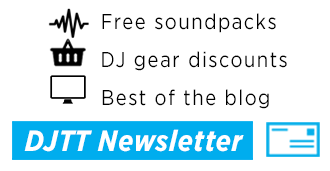 Today is part one of a two part series explaining the secret powers of Pro DJ Link – read on! 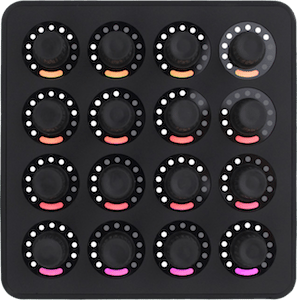 Pro DJ Link is an embedded protocol present in the Pioneer DJ CDJ and XDJ players. It’s also in their production gear, the TORAIZ SP-16 and DJS-1000 sampler. The XDJ-RX and XDJ-RX2 all-in-one units also have a “lite” version of the protocol called “Link Export” (more on that on that later). The protocol can also interact with the “Export” mode of the Rekordbox software and with the Rekordbox app for Android and iOS. Pro DJ Link works using a basic ethernet network. 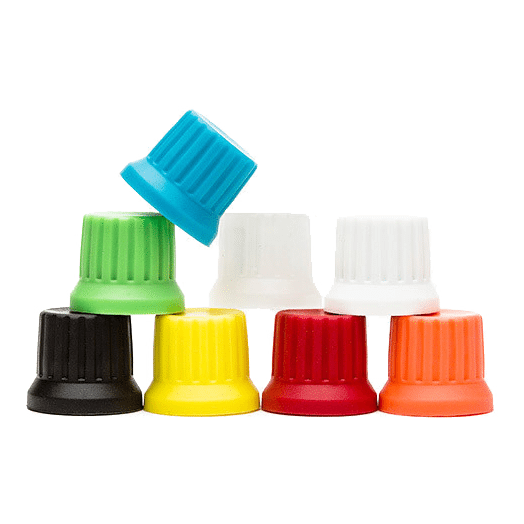 Each compatible player has an RJ45 ethernet connector on its back panel (except for the TOUR series devices; they use EtherCon). Not every modern player sold in the Pioneer DJ catalog is compatible with Pro DJ Link; the CDJ-850 and the CDJ-350 are not compatible and don’t have ethernet ports. With older model units still found in clubs, the original CDJ-2000 and original CDJ-900 (commonly called “non-Nexus” editions) will give you problems using the Rekordbox app for Android and iOS. What Can You Use Pro DJ Link For? Share the BPM, bar, and beat position of the player designed as “Master” in the network and sync all the other players automatically to that player. Connect a computer running Rekordbox in “Export” mode to the Pro DJ Link to the network and load music from that computer’s copy of Rekordbox. This can be done wired or wirelessly. Connect a mobile phone or tablet to one player (wired) or to the full network (wirelessly) and load music from that device to any of the players. Share to the internet the info of the music you are playing with the KUVO service from Pioneer DJ (additional hardware needed for this). 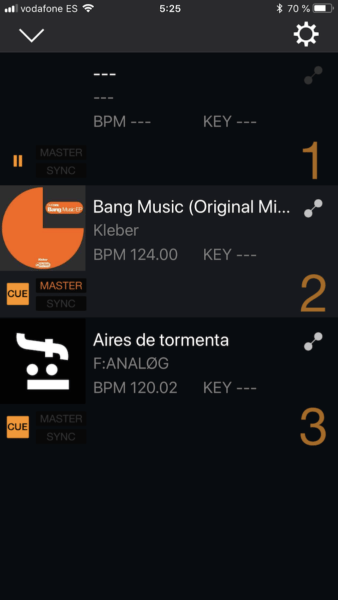 Using third-party apps and a computer, monitor all the actions of the players (even watch the waveforms) and convert the BPM info into MIDI or Ableton Link protocol for syncing purposes – and also convert some of the actions into MIDI messages. Pro DJ Link has nothing to do with audio over ethernet protocols. Pro DJ Link will not let you use your player as a MIDI controller, you need to connect a player to a computer using the USB port for that. HID mode also requires a USB connection. Pro DJ Link can’t be used for streaming music to the internet (I have read on forums that people believe it can be done). The XDJ-RX/RX2 don’t have Pro Link connections, but they can also use a “lite” version of Pro DJ Link known as “Link Export”. For “Link Export” you will need to connect your unit using a Ethernet cable to a computer, and the only available function is to load music from the computer directly to the unit. 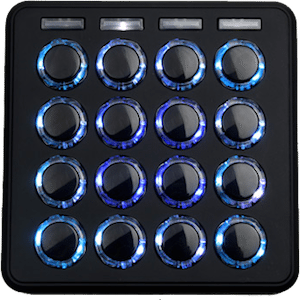 The DJS-1000 and the Toraiz SP-16 can connect to Pro DJ Link for syncing features, but can’t load or share media from another unit, computer or mobile app, only from its internal or directly connected storage. 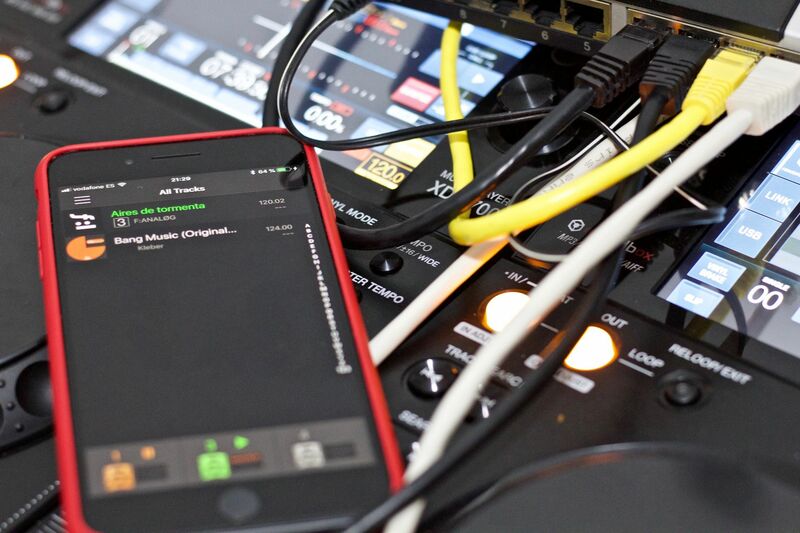 In the computer version of Rekordbox, the Toraiz SP-16 and the DJS-1000 will not show up as available devices, but be careful because in the iOS and Android apps for mobile devices, that devices will show as usual players in the apps. If you try to load a track from the mobile apps to those devices, nothing will happen – there won’t be any kind of crash, but it may annoy you if you are not aware. The old CDJ-2000 and CDJ-900 (non-Nexus) can’t use the wireless features of Pro DJ Link, nor the iOS or Android apps directly. The computer version of Rekordbox and mobile apps MUST be updated to the latest version. The Android version is getting updates more often than the iOS one. CDJ / XDJ players must be using their latest firmware. Find the firmware version in the Menu/Utility tab of the player and check it’s the latest one on the Pioneer DJ support website. 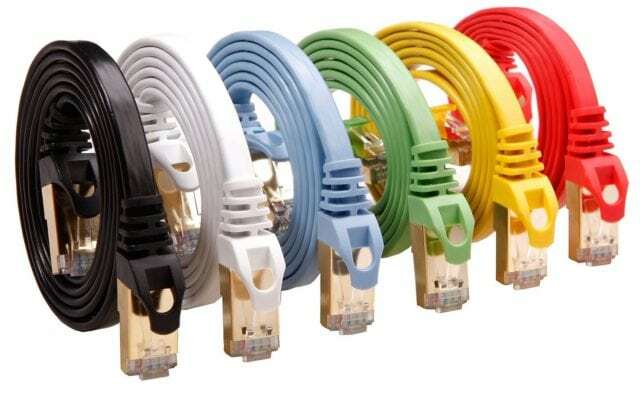 Ethernet cables with RJ45 plugs – CAT5 or CAT6 cables are the best option. 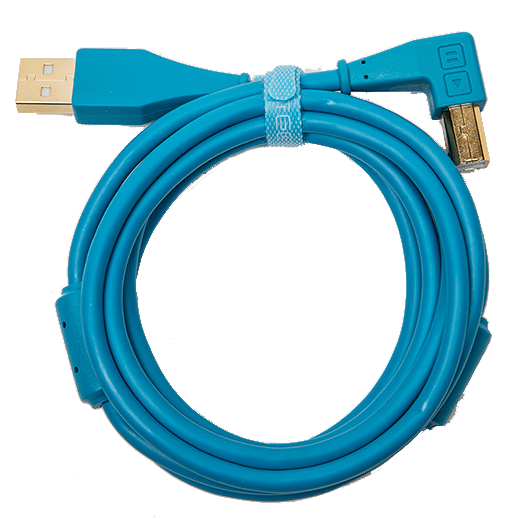 The ethernet cables that come with many Pioneer DJ players are perfect – but if you want to color-code, check out these cables on Amazon. A 10/100 ethernet switch which supports the IEEE 802.3 10BASE-T standard, with at least five ports. Almost any cheap one will do the work, you don’t need to spend a lot of money on a gigabit ethernet switch. To use wireless features, you’ll need a wireless router / access point. The typical home cable router with a wifi transmitter can be used. If the router has an integrated ethernet switch and it’s next to your Pioneer setup, you won’t need the spare switch from in the previous paragraph. It’s recommended to use an IEEE 802.11g or IEEE 802.11n device, otherwise Rekordbox can have speed connection issues. The first thing you need to learn is how the players get “numbered” by the Pro DJ Link protocol. If you go to the Utility Menu and go down to the “Player No” option, you will see that you can select the number the player will get when you connect it to a Pro DJ Link network. This might not seem important in 2 player setups, but but if you are using 3+, you’ll find it very useful, especially if you are loading music from a computer or an app (they only identify players by their numbers). No media storage device can be connected to the player when changing this. If you have something connected, the option to change the player is disabled. If you set the same number on two different players, an error message will pop up on one of them (in the last one to connect to the network) saying that the number is being used by another player, and in the Link Status a “Player Conflict” message will appear. You must change the player number to connect it to the network. If you set the number to “Auto” every time you turn on the player it will try to use the last number it used when it was turned on, but if another player is using that number, it will change to the nearest free number. The most basic Pro DJ Link rig is a two players setup. Assuming you don’t want to use your computer as part of the network, just plug the same ethernet cable to both players. That’s it. If everything is OK, in the Utility menu the Link Status of both players will show “Connected”. In this rig, you don’t need a switch or anything else. With this simple setup, plug a media storage device to the USB port in one player, and access it through the “Link” button (or icon in the screen) on the other device. When players are linked, usually the first one to play a song is automatically set as Master, and you can automatically sync the other to that one. If the Master stops, the other one starts to be the Master. 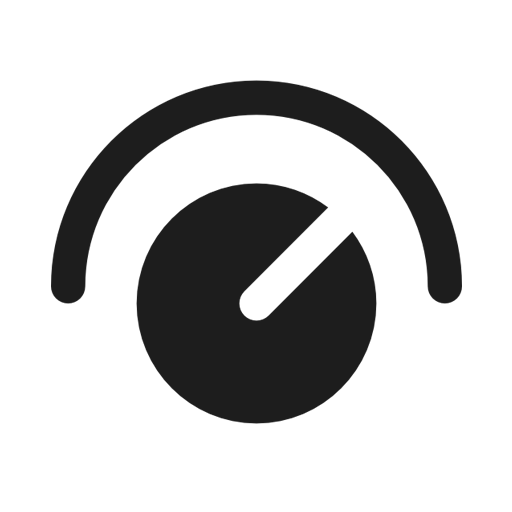 Every player will also show the phase meter of the Master device. This is a good moment to talk about the “Duplication” option, found in the end of the Utility menu. When you select that option, the settings of the player (like background color, screen brightness, etc) will be transferred to the other linked players. If you choose “All” and press the encoder, you’ll see the message “Duplicated” in red on every player screen and the settings will have propagated. Want to connect more than two players? You need an ethernet switch. Simply plug the switch to its AC adapter and then plug every player with an ethernet cable to the switch. Turn on the players and every player should see each other. If you have a DJM-2000Nexus, you can use the integrated switch for that purpose, and also the mixer will use the BPM info of the selected channel player to set the tempo of the Beat FX. If you use a DJM-900NXS/NXS2, connect the ethernet port of the mixer to an external switch and the mixer will also use the BPM info of the players for the same purpose. 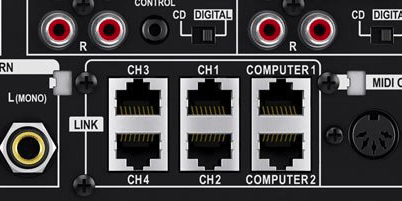 The Ethernet switch built into the DJM-2000Nexus. Hey, Pioneer DJ! Where’s the NXS2 update to this old mixer? TIP: If you have a Denon X1800 mixer, despite not being a Pioneer DJ mixer, the switch in the back panel can be used for Pro DJ Link functions – except using the BPM info for the mixer’s effects. If you connect a computer to the switch and launch Rekordbox in Export Mode, the software will detect the Pro DJ Link network and a tab in the bottom of the software with the link icon will appear. 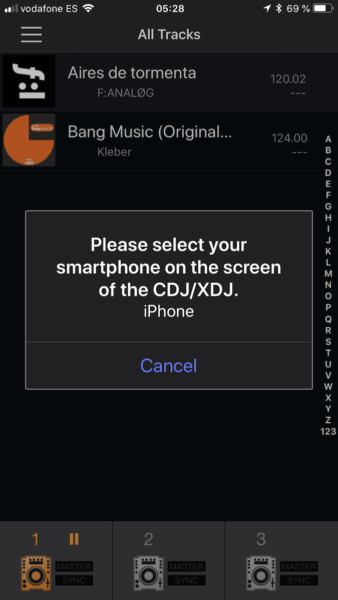 If you click the icon, “Please permit it on the CDJ to show icons” will appear, then press or tap on the players’ Rekordbox button and a “Please push the rotary selector to permit mobile connection” text will appear on screen. 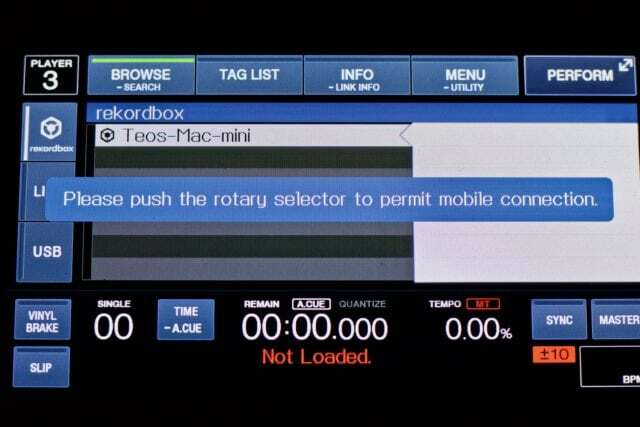 Once pushed, you can load music straight from Rekordbox onto your CDJs! Amazing. You can also directly load music from the Rekordbox software; simply select a track and click on the icon of the player at the bottom of the software. It works in a very similar way to how the mobile app works. The Rekordbox software not only shows the icons with the players, but also shows if the players are playing music, are paused, or the cue is active. If you have a wireless router with an integrated switch, you can connect every player to the router, and can connect computer/phone-based Rekordbox libraries over wifi. When connected wirelessly on a computer, the Rekordbox software will detect the Pro DJ Link network and automatically show the Link icon in the bottom of the screen. On the mobile app, things are different. Once you connect to the wi-fi network, open the left menu and tap on the “Connect to DJ Player” icon. The device will look for the Pro DJ Link network on the wi-fi network, and then ask you to allow the players to connect to the mobile device. If your Pioneer DJ setup is too far from your wireless router to use the built-in Ethernet ports, there’s a simple solution: connect every player to an independent switch, and then connect one of the ports of the switch to the wireless router using a long ethernet cable. 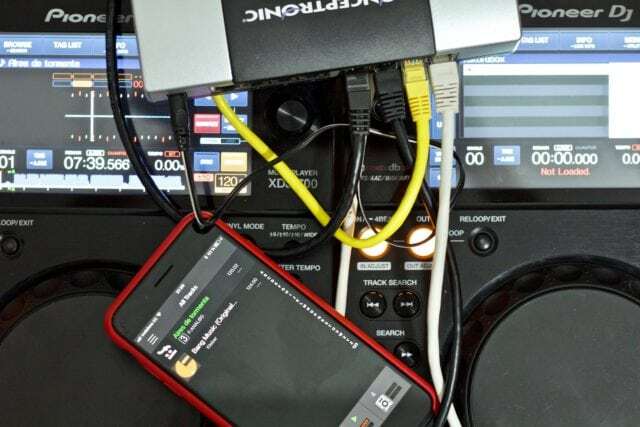 The devices connected to the wireless network will not have any problem to find the Pro DJ Link network and connect to it. Have any requests or questions? Ask Teo in the comments below.